Happy June everyone! Anyone else ready for school to be done and for summer to be in full swing? My kids have one week left and we are all ready for it to just be over already. No more teachers, no more books! Well for me, it’s more like no more packing lunches, no more racing to the bus stop! This week I’ve been thinking about our summer bucket list, so today I’m sharing some fun things you might want to plan on doing the next few months! Part of my summer bucket list is to feel healthy and be active. So I was excited to learn that Kelsey, of The Home Loving Wife has teamed up Jayme Williams of Jayme Williams Fitness to offer a 4 week fitness challenge that you can you do right at home. It’s all simple exercises that require little or no equipment, but it’s quick and effective! Jayme is providing the workouts and Kelsey is offering support and motivation in her online community. The challenge just started this week, so it’s not too late to join! Before your kids even have a chance to hit with you the old “I’m bored!” complaints by day 3 of summer vacation, prepare yourself by reading this article by Mike Spohr over on Buzzfeed now. This awesome list has tons of fun ideas that won’t break the bank. My favorites? #13 and #29. And #8 is SO happening!!! After my daughter’s last softball game of the season, her coaches had a little ceremony for the girls complete with adorable team plaques, watermelon and these awesome ice cream cupcakes. The ice cream was very similar to Rachel’s over at Sprinkle Some Fun. I’ll be trying these this summer for sure! As soon as summer arrives, my kids start begging to eat outside and have picnics. And I’m all for it, but I like to have some recipes that are easy to make and take! 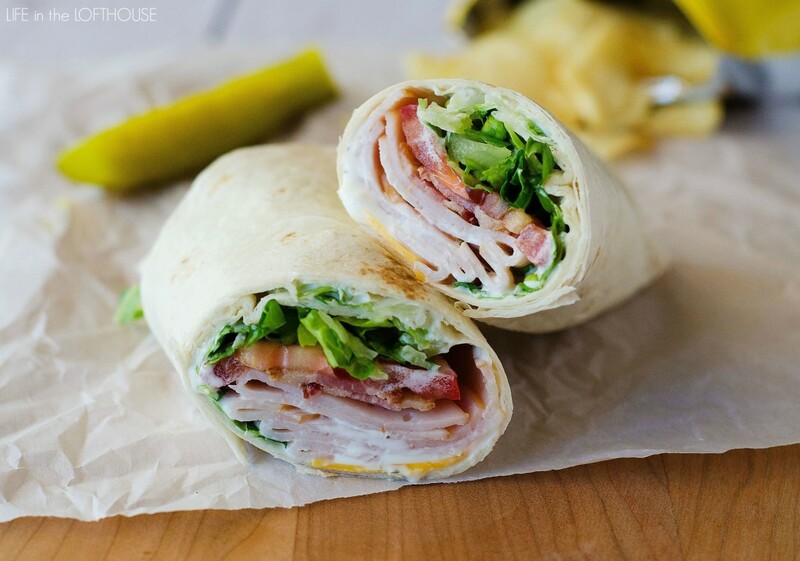 So I’ll be trying Holly’s Turkey Ranch Club wraps…they not only look delicious, but would be easy to pack, serve and eat outdoors. Get the recipe over at Life in the Loft House! Another thing we’ll be checking off on our summer bucket list? Lots of late nights hanging out by our outdoor fireplace…watching the kids run around catching fireflies and having a few beers with friends. Sure we could drink regular old beers and that would be lovely, but I think I might step it up a notch and try these Strawberry Lemonade Beers! Chelsea and Ginny over at Whatcha Makin’ Now? sure know how to make a beverage look beautiful and refreshing! I hope you enjoyed this week’s list! Start thinking about some of the things you want to cross off your summer bucket list…picnics, ice cream, catching fireflies. Leave a comment below and share your plans with me so I can add some more ideas to my list! Come back and checkIN next week to checkOUT some more great finds! And if you try out any of these ideas, please snap a pic and share with me on Instagram with #checkincheckoutfriday! Beautifully done again, Stacy! I will be making a strawberry lemonade tomorrow and this strawberry lemonade beer caught my eye! Very interesting idea. I am gonna give it a try! Those cupcakes!! And saving that beer recipe for when I can drink again, yummy! I love your list. I need to get busy working on mine. Oh I’m gonna try that workout! thanks for sharing the other awesome finds too. Great photos, I’ve never tried strawberry lemonade beer – want to now! Those cupcakes and wraps look DIVINE!!! Oh my goodness. And….is that strawberry lemonade beer really good? It sounds SO strange….but, you know I’ll take your word for it! !